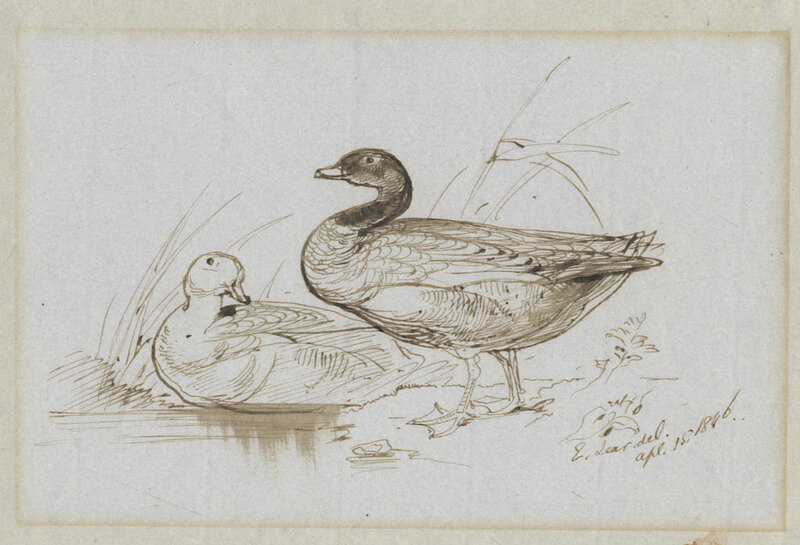 [Two Mallards.] E. Lear. del. apl. 15. 1846. [A Black Swan.] E. Lear. del. April. 17. 1846. 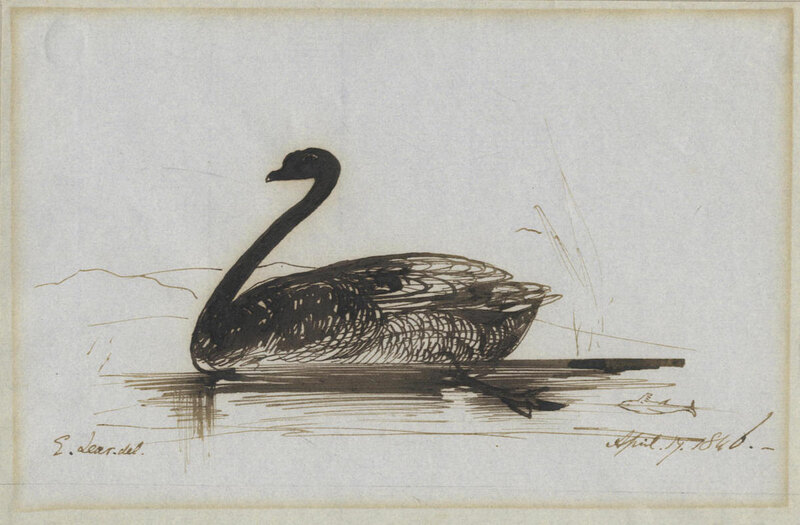 This entry was posted in Edward Lear and tagged animals, auctions, Edward Lear, zoological illustration. Bookmark the permalink.